Knowing it’s from Pop Fiction by Summit Books; I took The Bet from an NBS outlet and hoped it would result to yet another enjoyable read. I was right. I read the book (like all previous local books) in one sitting and enjoyed every single chapter. The excitement of wanting to know how the story ends made it a page turner yet I savor every special moment while reading. I can still remember the scenes in my sleep. 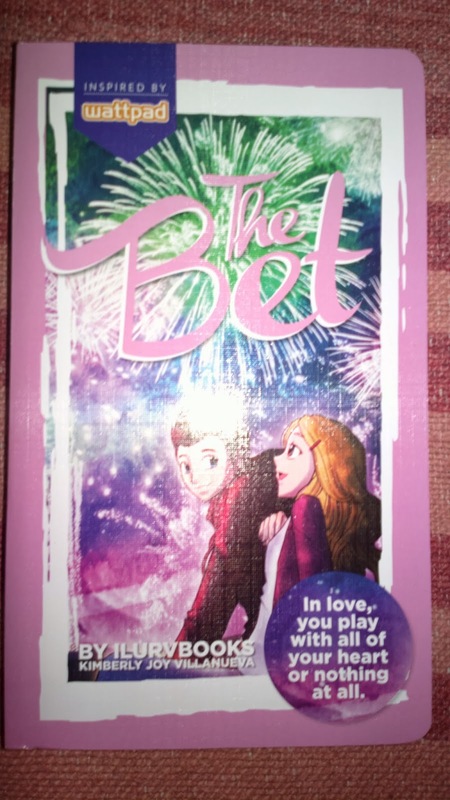 We are introduced to Drake Swift and Sophia Taylor in this book. Drake lost just once to his best friend Andre for a bet and was tasked to woo a girl for a month, make her fall in love, and admit that it was all a bet on the last day. Andre didn’t actually pick Sophia in random, he had other plans too. And it did work; the couple fell in love with each other but not without doubts and fears due to the bet. The story reminded me of yet another Summit Books published rom-com story, Operation: Break the Casanova’s Heart. 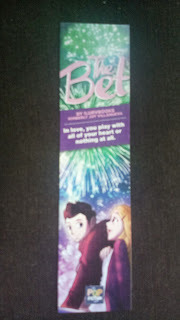 There was no bet in the latter but it was the same wily start which ended up into something real for a love story. It’s also written in English like other Pop Fiction creation. What made it different is that despite a Filipino author, the characters are western, American to be exact. The character names are also very pop sounding like our star crossed lovers as well as the people surrounding them. Names like Andre, Driana, Rain, Cassidy, Skye, and so on will have you remember that you’ve heard it somewhere before, like a pop star, TV show, or even a game. But I love the sound of Sophia Taylor-Swift and all Taylor Swift song lyrics borrowed throughout the book. There’s even a playlist at the end credits as well as other surprises such as a free bookmark and two illustrations hidden somewhere amongst the pages. So if you’re looking for an interesting and enjoyable read, I bet you’ll enjoy reading The Bet!